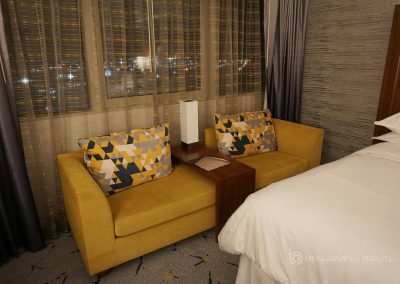 After a fun day of planespotting at LAX with a friend, I need a comfortable place to rest my head close to LAX. 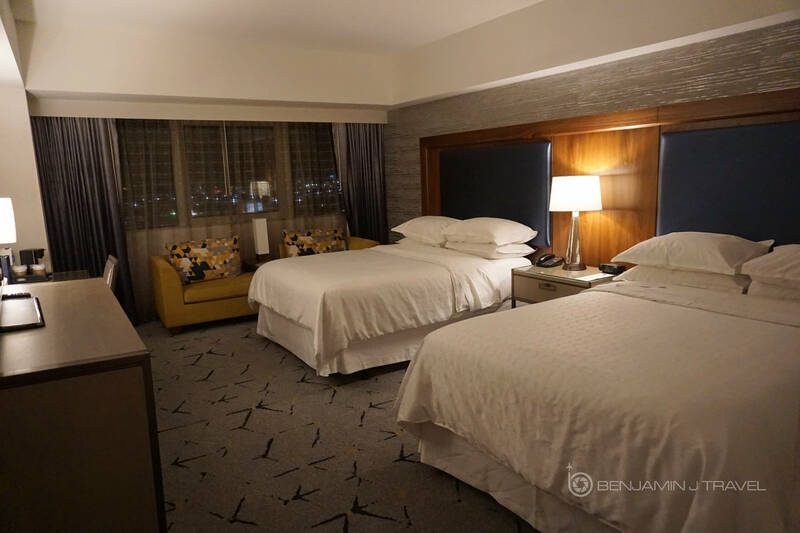 I browsed a few hotel sites and the Sheraton Gateway Los Angeles Hotel was giving me the best rate through Hotels.com. 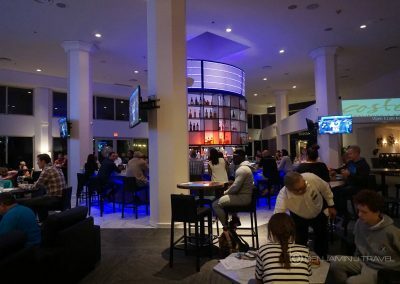 If you’ve read some of my prior hotel reviews, you’ve learned that I’m not incredibly loyal to hotel programs although I do like Starwood properties. 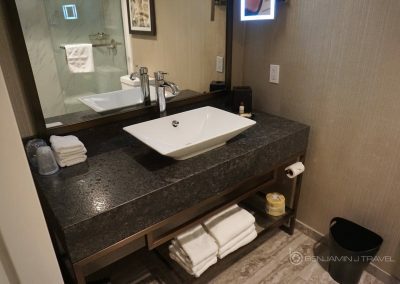 The Hotels.com Rewards program is my go to loyalty program as I enjoy independent and boutique properties when traveling. 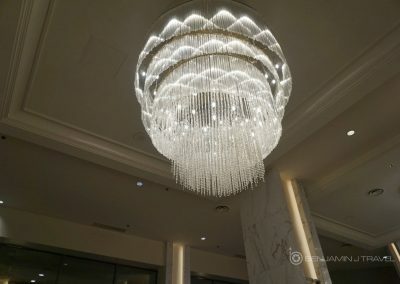 I booked my room via the Hotels.com just a couple of hours before checking in as my plans were a bit uncertain. 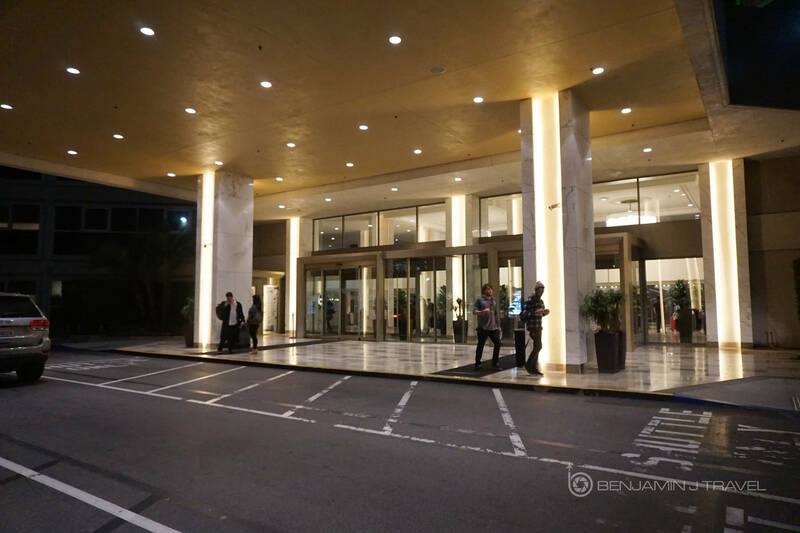 I took and Uber to Sheraton Gateway Los Angeles Hotel and arrived around 8 PM. 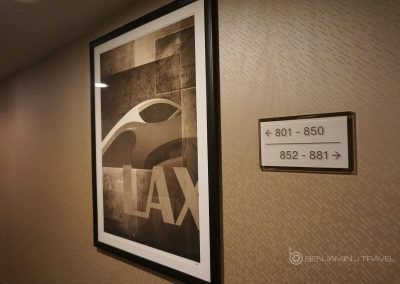 If you are arriving late or departing early from LAX airport, than the location is ideal. 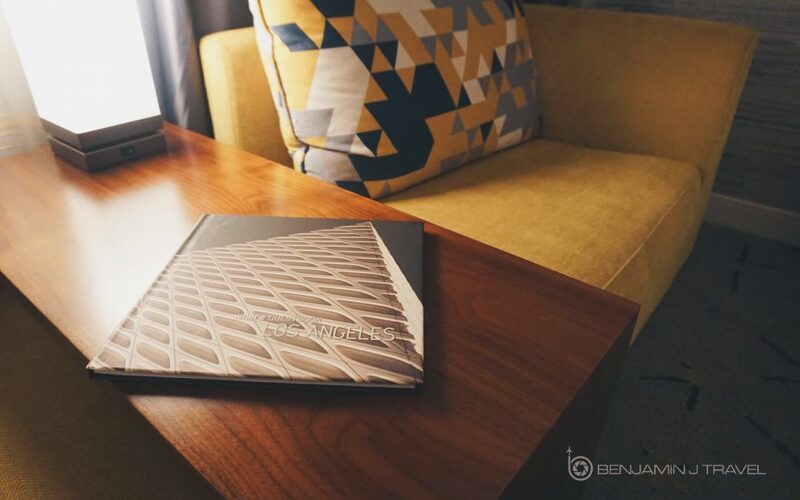 But if you’re focusing on the attractions of Los Angeles, you’ll find yourself far removed from everything. The shuttle or Uber ride to the hotel is less than 5 minutes without traffic. 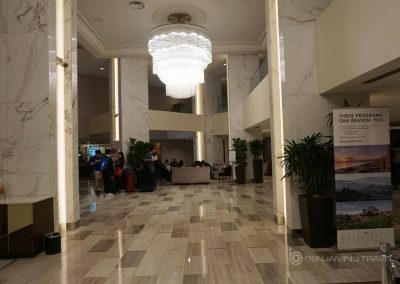 The lobby was quite a bustle with guests in the lobby; a mix of guests catching late night departures from LAX and restaurant patrons. 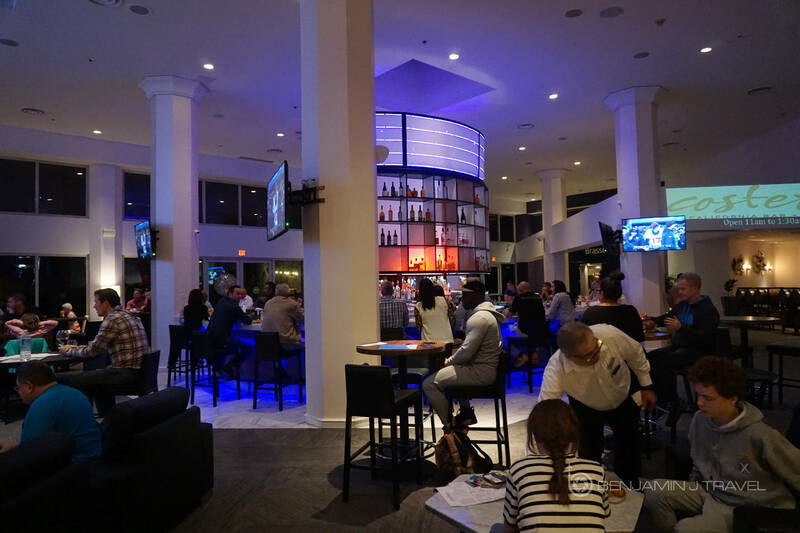 As one enters the lobby from the front, there are some randoms seating areas scattered throughout the lobby. 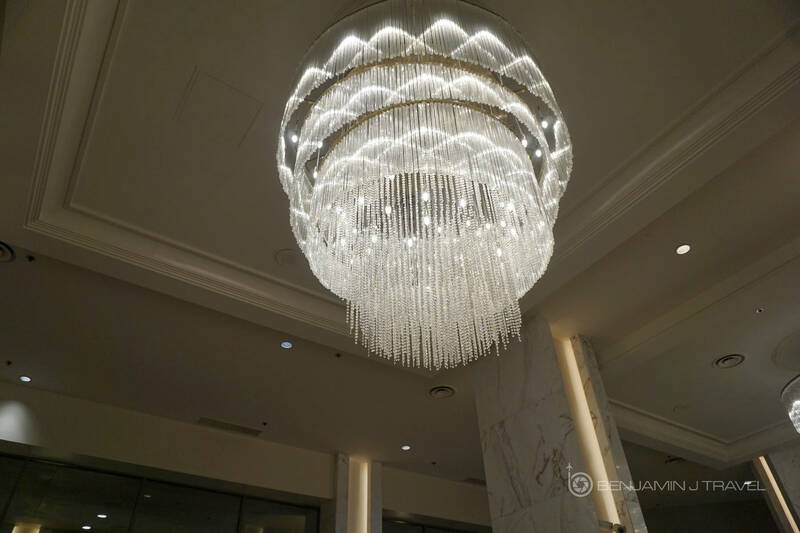 The lobby is plastered in off-white tile and marble, illuminated by oversize chandeliers. 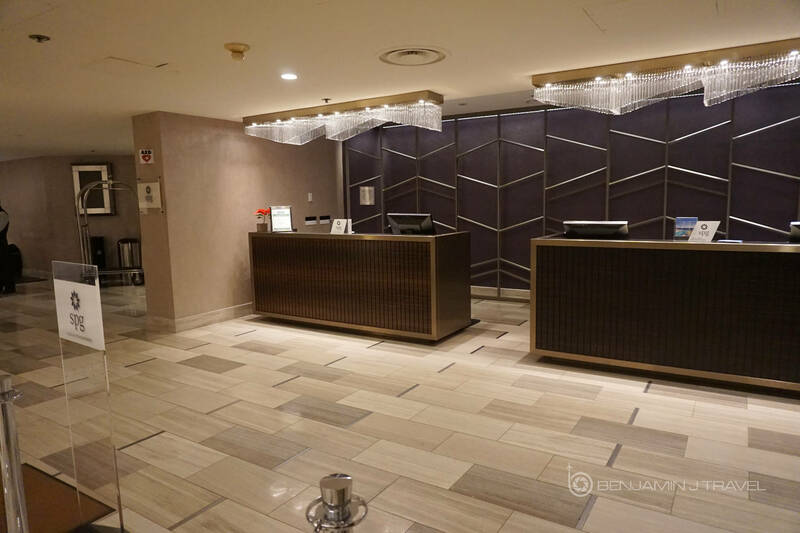 The lobby was at least partially renovated recently but the lobby layout is choppy. 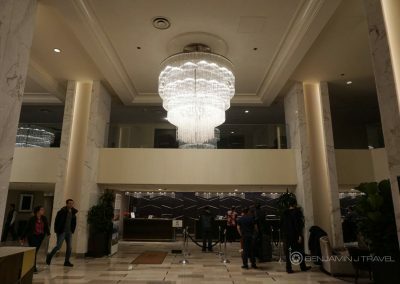 I can’t say the layout of the lobby was well thought out. 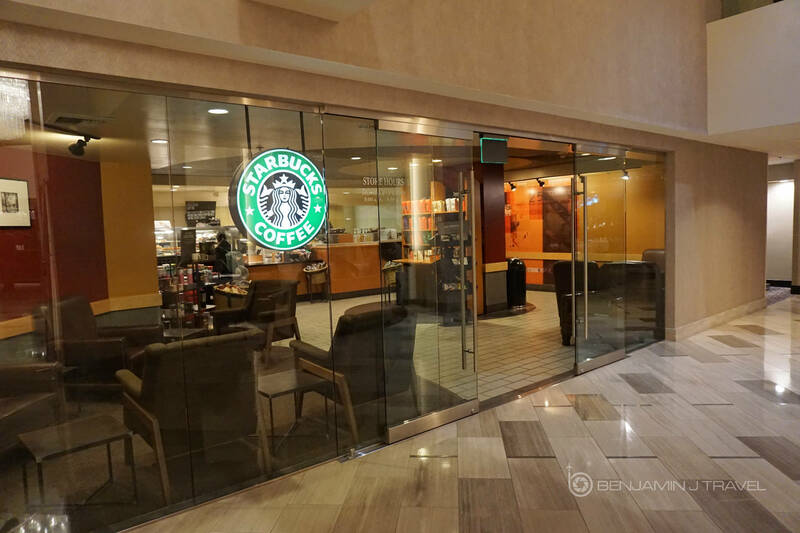 The lobby has a Starbucks right next to the front desk as well as a large in-house restaurant and bar. Both were quite busy at all hours. There was a bit of a line to check-in but the line was quick. 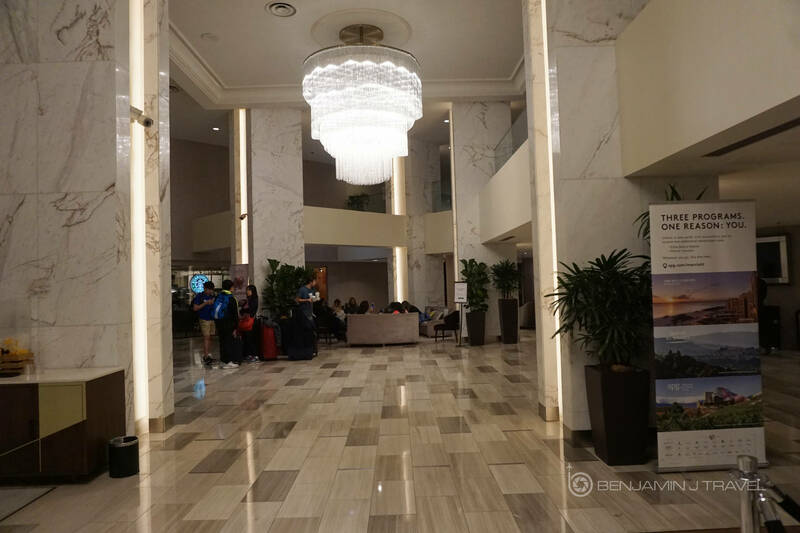 Within a couple minutes, I was able to check-in and the front desk staff was friendly. 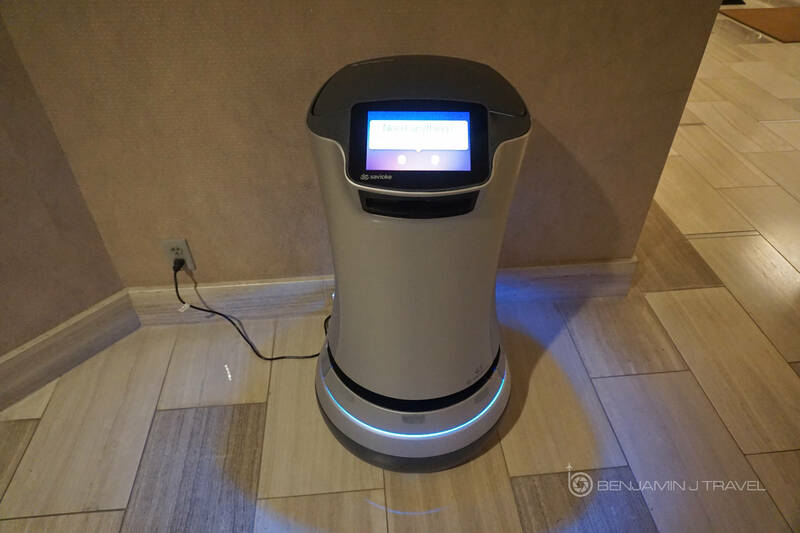 As I was checking in, a robot glided across the room. 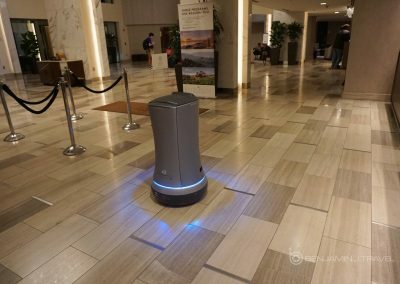 You don’t see many hotels with robots and the staff let me know that he’s a delivery robot. While more of a novelty than practical, if you forget a toothbrush, you can request one from the hotel robot. I was given a room on the eight floor. 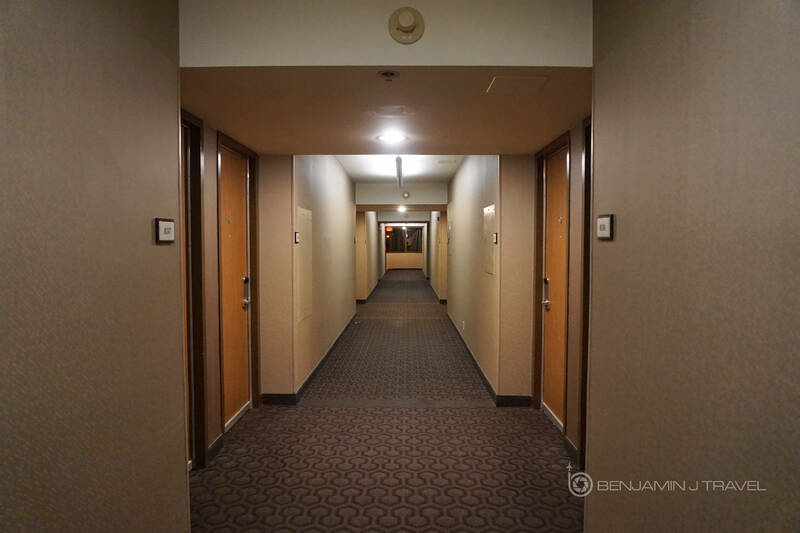 The layout of the hallways is a bit maze-like and the rooms are numbered in an odd fashion. 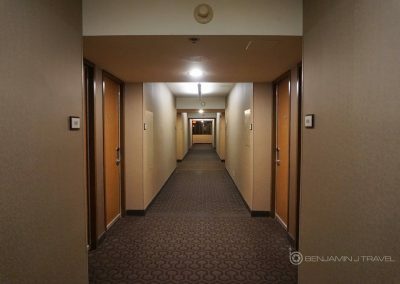 After a couple of wrong turns, I found my room at the very end of the hallway. I was originally assigned a room with one King bed but ultimately only rooms with two Queen beds were available. My room is what the hotel considers a “Traditional Room”. Since it was just a brief one night stay, this wasn’t much of a bother. 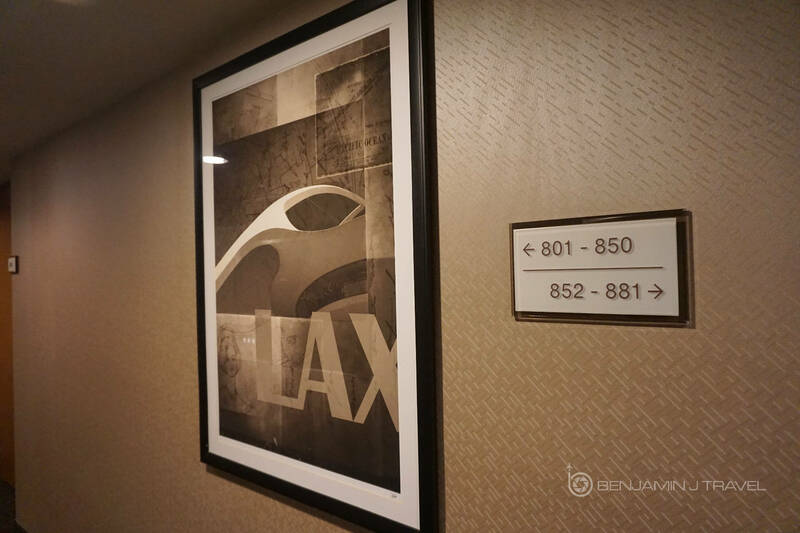 As the room was at the end of a hallway, the room had a view facing the runways at LAX. Sadly, other tall buildings mostly obstructed the view of any planes. 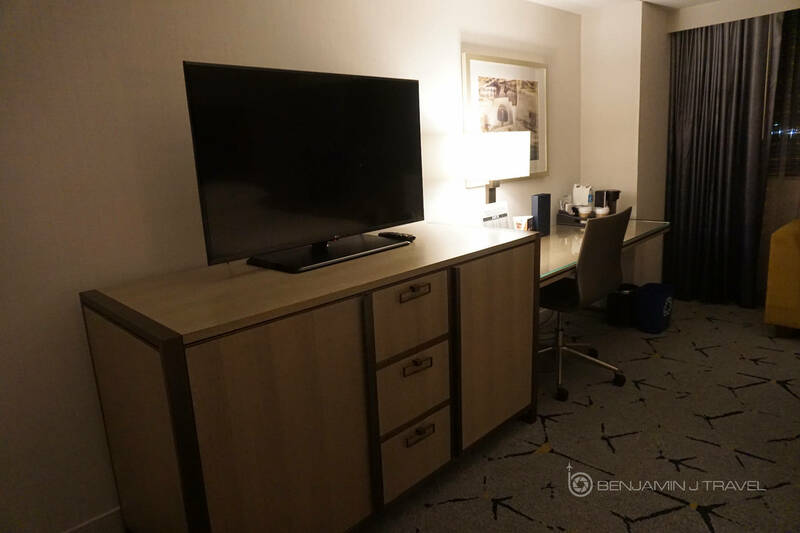 On first impressions, the room was well-appointed. 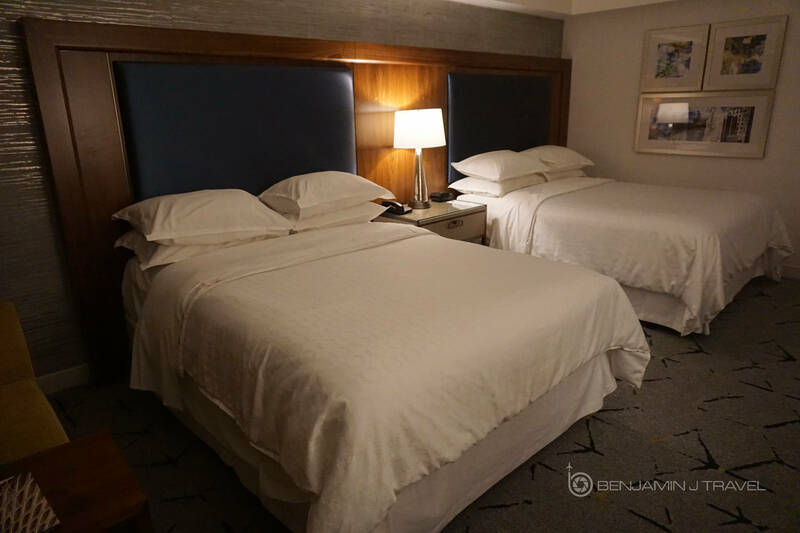 As the hotel as been recently renovated, the room was clean, comfortable. and stylish. Maybe not how I’d decorate my own home but still nice. 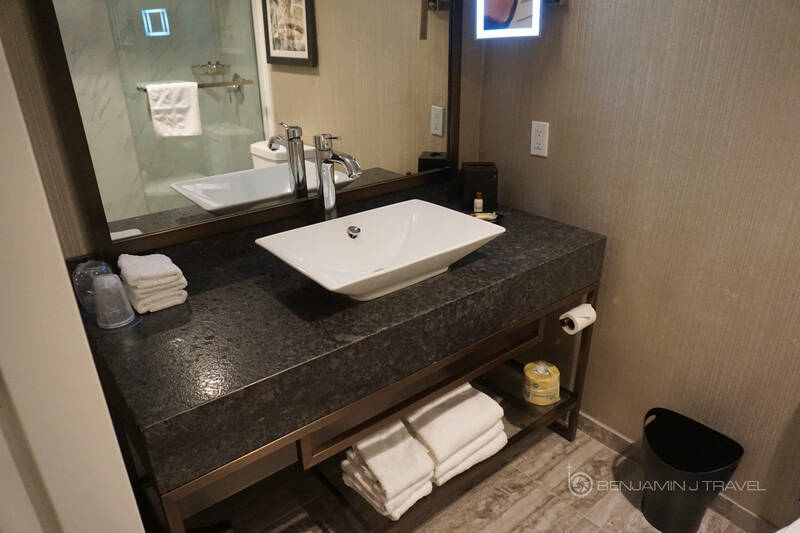 The linens were plush and fresh. The Queens beds were comfortable and high above the ground. There was a decent sized desk and work space plus a plush sofa along the windows. 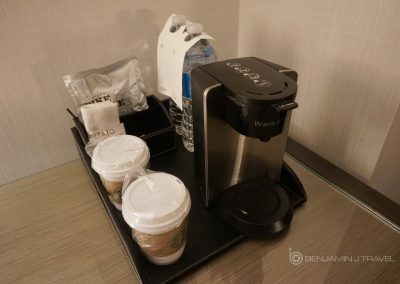 There’s a standard in-room coffee maker with Starbucks coffee. 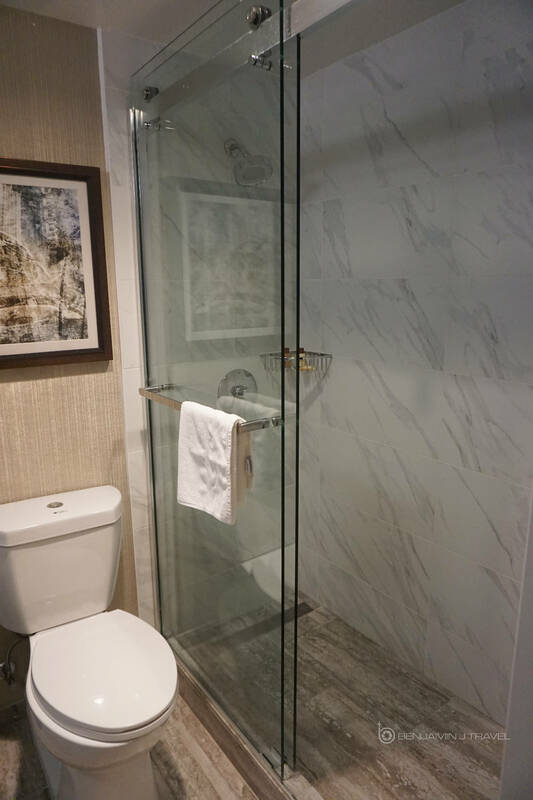 The bathroom was a tad small but had a nice marble shower. 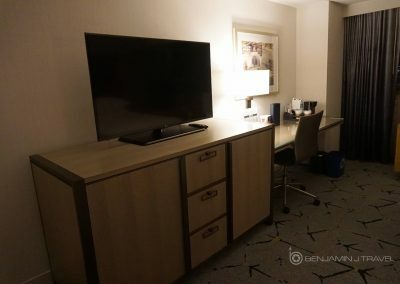 On overall cleanliness, the room was nice and clean. I had a 10AM departure from LAX but wanted to try and catch an earlier flight so I headed for check out around 7 AM. The front desk was empty and was able to check out quickly. However the front desk agent was a bit short with me. I asked about the airport shuttle schedule and she acted as if she had no clue. She told me “just wait outside, it comes every 30 minutes”. Not the response I wanted. When I pressed for more info she continued to give me the same answer. 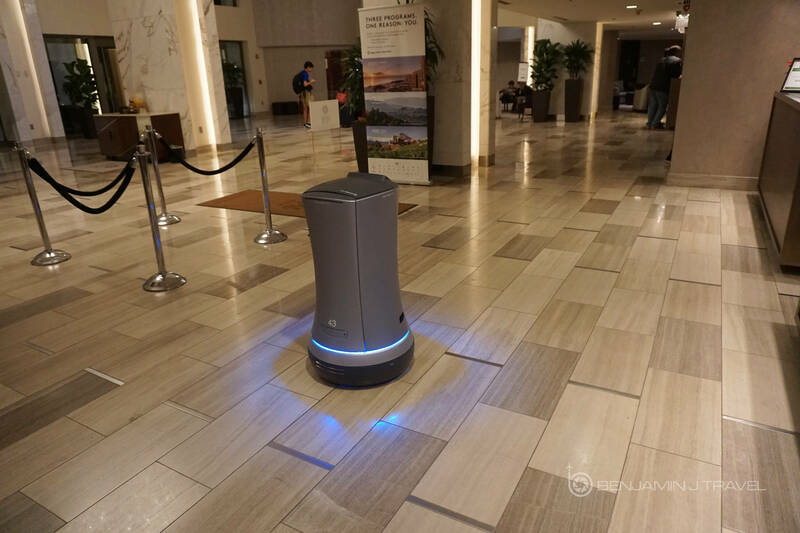 This isn’t the last impression a hotel should leave on a guest. It’d be nice to know what time the shuttle arrives so I don’t stand around outside for 30 minutes. To my luck, the shuttle to the airport terminals was ready almost right away. The shuttle drive was friendly and courteous. After leaving the front lobby entrance by shuttle, we made a quick stop at the overflow valet lot. 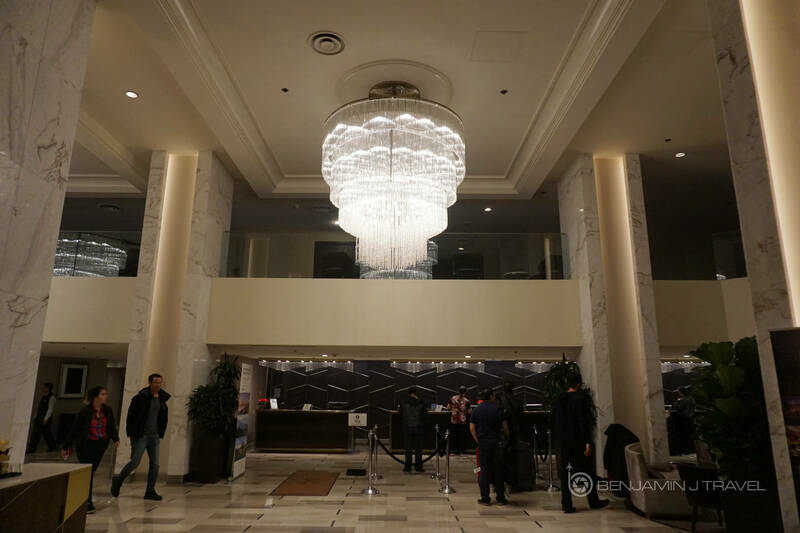 The Sheraton Gateway Los Angeles Hotel offers valet long term parking for airport passengers as an alternative to LAX’s own parking lots. The shuttle only stopped at requested terminals and only dropped off passengers. 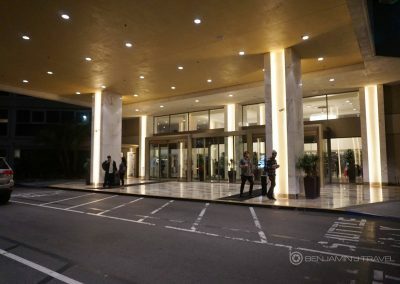 Arriving passengers who are headed to the Sheraton Gateway Los Angeles Hotel are picked up separately. 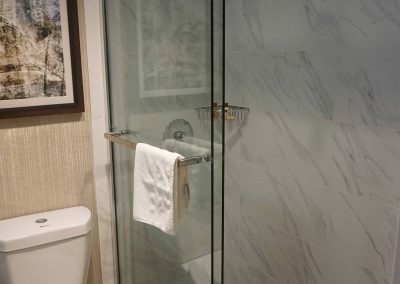 The Sheraton Gateway Los Angeles Hotel is your standard 4-start airport hotel. It serves it’s specific purposes as a comfortable night’s sleep close to LAX airport. 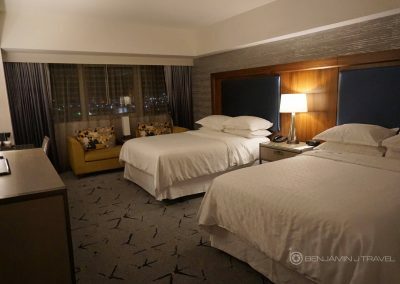 The room was very nice and the best attribute of the hotel. But the service was a complete mix of experiences. 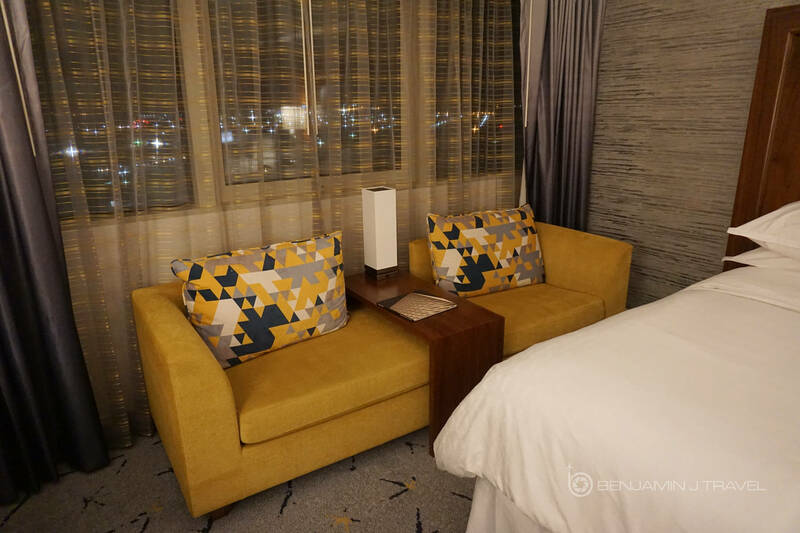 I’m not sure if I’d come running back to the Sheraton Gateway Los Angeles Hotel but if the price was right and I needed just a one night stay near LAX, it’d do the job. 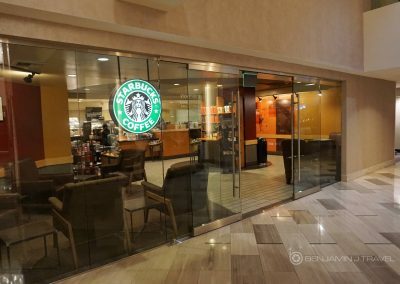 This used to be my LAX go-to hotel (despite always long wait for shuttle from airport) until they replaced the Italian restaurant. They served perfect bolognese with decent wine list. I’m sure glad I didn’t have to wait on a shuttle pickup!